Mark Christensen, a county commissioner from northeast Wyoming, traveled to the nation’s capital last month to ask for more money from production of federal minerals in his county. 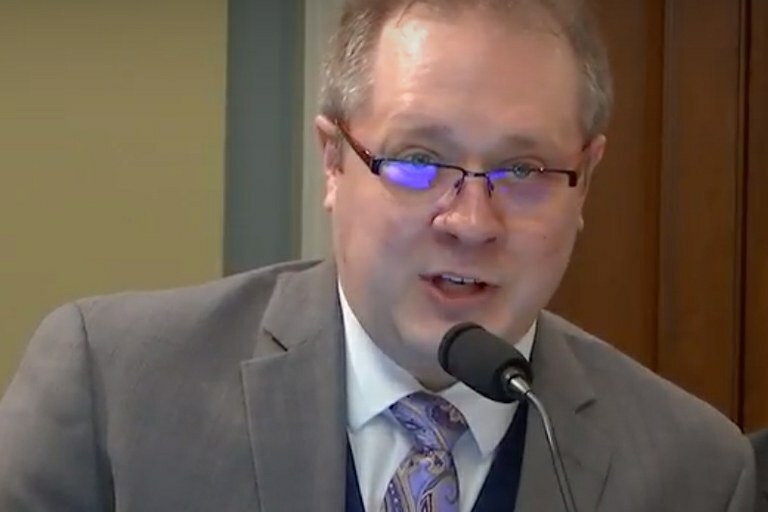 Christensen testified in support of the proposed POWER Counties Act, which would amend the 1920 Mineral Leasing Act to funnel federal royalties on oil and gas extraction back to the counties in which they were produced. “Even though we have these great mineral resources, 88 percent of them are controlled by the federal government (in Campbell County),” he said. Discussion of the bill at a U.S. House subcommittee on energy and mineral resources hearing put on display unanswered questions over what benefits locals should see from resources in their backyards. Currently, 50 percent of royalties collected from federal land mineral leases goes back to the states where they were produced. The state then determines how that money is distributed, meaning only a portion might go back to the originating county. The remaining funds stay with the federal government, and 80 percent of that remainder is earmarked for the federal Bureau of Reclamation — to support water projects across the West. “Wyoming is footing the bill for everybody else’s water projects,” Christensen said. The new bill would change the 1920 Mineral Leasing Act to redirect half of the money currently slated for the Reclamation Fund to instead go back to counties where energy extraction happens. 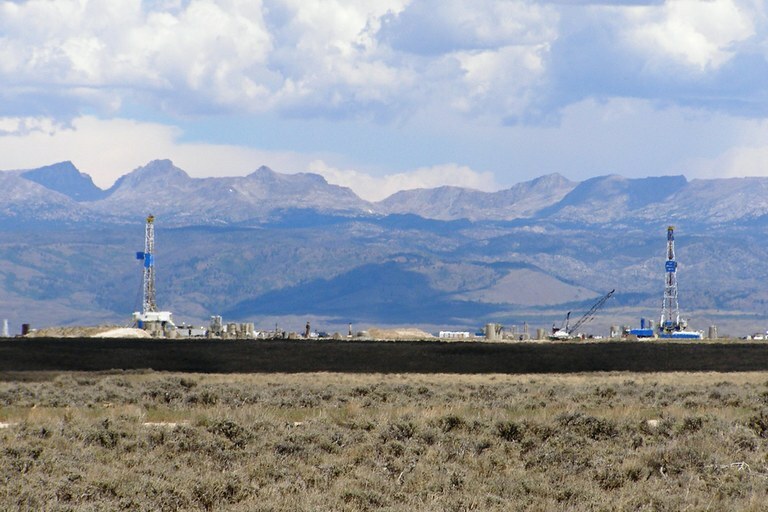 Energy development on Bureau of Land Management land at the foot of the Wind River Mountains of Wyoming. Critics of this proposal say the change would create a few big winners at the expense of many losers, enriching only the mineral-abundant counties, while taking project money away from the average U.S. taxpayer. Under the proposed bill, for example, Christensen’s Campbell County would receive about $160 million more each year. That would be a great windfall for the county, which produces about 10 percent of the country’s energy demand, mostly with coal, but also with oil and gas. “I’m not sure if a single county would be able to spend $160 million on schools and roads,” Rep. Alan Lowenthal, D-Calif., said at the hearing. “Though I’m guessing Mr. Christensen would love to have that as a problem.” Counties also derive revenue from energy extraction through local taxes and impact fees. Critics of H.R. 3846 worry that siphoning energy revenues away from the Reclamation Fund would threaten much-needed water projects in the arid West. “As a Westerner, I have some concerns about this proposal,” Lowenthal said. Eastern states like Ohio, which has experienced a natural gas drilling boom in the Marcellus Shale over the last decade or so, are not eligible for Reclamation Fund projects, so receive no benefit from the Reclamation Fund portion of royalties generated in those states. Congressman Bill Johnson, R-Ohio, introduced the new bill. Campbell County (Wyoming) Commissioner Mark Christensen speaks before a House Natural Resources subcommittee about redirecting Reclamation Fund moneys to the states. First established in 1902, the Reclamation Fund has long supported water development; in the early days that included major projects such as the Theodore Roosevelt Dam in Arizona. Wyoming currently contributes half of the fund’s balance; New Mexico, whose Permian Basin is a major oil and gas producer, contributes 27 percent of the fund. Yet these states don’t necessarily get more help in return. Christensen pointed out that his county recently completed a $200-million project to provide water to the county seat, Gillette, paid for by Wyoming and a local tax — not the Reclamation Fund. An underlying issue that the new bill exposes but does not address is how Congress uses the Reclamation Fund. For nearly a century, the fund distributed as much money as it took in. But in the 1990s, as revenue from energy extraction increased, an excess balance began to accumulate and now stands at nearly $14 billion. This balance is currently being subsumed into the larger federal budget, spent on unrelated projects. “To the extent that Congress does not appropriate that money, it’s actually available and has been spent for other federal purposes,” Tony Willardson, executive director for the Western States Water Council, told lawmakers at the hearing. In fact, authorized water projects including tribal settlements, dam safety and rural water development total over $8 billion, which could be covered by the fund if Congress chose to appropriate that money. H.R. 3846, in other words, would take more money from the fund, while exacerbating the gap between appropriations and water development.